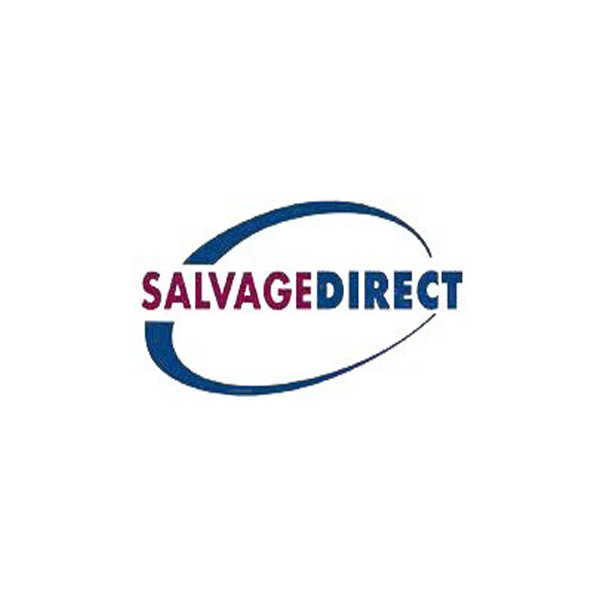 Salvage Direct was created in 1998 by Bob Joyce with the goal of revolutionizing the salvage vehicle settlement process. 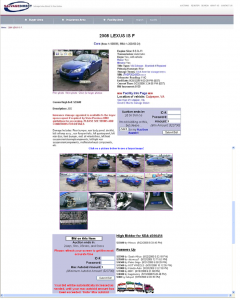 The Titusville, PA based company pioneered the salvage industry’s first on-line auction for cars, trucks, motorcycles, boats and recreational vehicles. The Company’s technology was designed to reduce salvage-to-settlement cycle times and maximize sales proceeds to insurance companies. Over the past decade the Company emerged as a strong regional player in the MidAtlantic, a national competitor for catastrophic event response (hurricanes & floods) and grew to be one of the largest sellers of salvage vehicles in the U.S., ranking among the top five in the industry based on the total volume of vehicles sold. Bob Joyce recognized an opportunity while at his previous employer, Progressive Insurance Company, to utilize an “eBay-style” Internet auction for expanding salvage vehicles sales beyond just the local physical salvage auctions. Better returns for insurance companies would be realized through a worldwide base of buyers competing for the vehicles, flexible bidding processes, customized information dashboards, automated titling and faster cycle times. Bob went out on his own and started Salvage Direct in 1998 from his one bedroom apartment. With the help of SJF’s investment and intensive management support, Salvage Direct grew well beyond the creative on-line marketing of specialty vehicles to become a full blown salvage management company, with the ability to handle the entire process for insurance companies — from towing and storing the vehicles to marketing, then titling and delivering them to buyers. Once an insurance company assigns a vehicle to Salvage Direct, the customer service and dispatch operators coordinate the logistics effort to get the unit to one of the Company’s 80 storage facilities. Ten of the facilities are managed by Salvage Direct, an eleventh one is owned by the Company and managed by a third party, and the rest are independently owned and used as needed through affiliate relationships. Developing this outsourced network of yards has allowed the Company to scale quickly and utilize capital efficiently. Photographs of the vehicle are taken and posted online along with a physical description of the vehicle at www.salvagedirect.com in preparation for the auction. The length of the auction is varied depending on the estimated salvage price of the item being sold, though most auctions last 7 days. Revenues are generated through fixed vehicle assignment fees from the seller, and percentage-based commissions and transaction fees from the buyers. Salvage Direct has contracts with many suppliers to provide vehicles for the Company’s online auctions, including some of the top insurance companies in the country. The primary buyers of salvage vehicles are licensed professional vehicle dismantlers, rebuilders, repair licensees, used vehicle dealers and exporters. The Company has thousands of licensed buyers in all 50 states and over 60 different countries. In addition to its core business, Salvage Direct developed a catastrophic event response team that services the needs of several major insurance companies immediately following large natural disasters. Over the last six years, the response team has been deployed following ten major storms in the Gulf States. Salvage Direct is recognized by insurance companies as best in the industry in catastrophic event response. In 2006, Bob Joyce won the Ernst & Young Entrepreneur of the Year Award for Business Services in the Upstate NY and Western PA region. In 2007, the Company acquired West Penn Auctions to expand its activities in the Pittsburgh market. In the summer of 2006, SJF Managing Director Dan Hoversten moved from his role on the Board to become the CEO of Salvage Direct and assist Bob Joyce in taking the Company to its next level of growth. Since becoming CEO, Dan led almost a doubling of the Company’s core business revenue through entering new geographic markets, broadening the network of facilities, adding new insurance company suppliers, expanding vehicle categories such as commercial equipment and closing an acquisition. SJF Managing Director David Griest joined the Company’s Board in 2006 to replace Dan. David’s role on the Board (and Dan’s earlier) included assisting with acquisitions, growth & capitalization strategies, leading the restructuring of onerous debt, management recruiting, vendor negotiations and the exit sale process. SJF Advisory Services, the venture fund’s allied nonprofit, helped the Company with its broad-based stock option plan, provided advice on setting up a 401(k), provided PR assistance and evaluated options for providing childcare assistance to employees. Salvage Direct’s impact on its local economy has been significant. 145 high quality jobs were created, most of them in Titusville, PA, a rural Appalachian town of 6,000 people with limited employment opportunities. Salvage Direct jobs are highly coveted for their competitive salaries, good benefits (including health/life/disability insurance, 401(k) with matching, continuing education assistance), opportunities to work in a high tech business, strong employee culture and broad-based employee stock options. A large percentage of employees participate in the 401(k) plan. Salvage Direct’s environmental impact includes increasing the utilization and efficiency of metals recycling and parts reuse for 49,000 salvage vehicles in 2009 alone. After a decade of strong, profitable growth the Board of Directors and senior management agreed in late 2009 it was prudent to align Salvage Direct with a partner that has the financial resources to facilitate a more rapid national and international expansion of the company’s services. An investment banker with significant industry expertise was engaged to explore strategic options for the company. After a thorough process, multiple bids were received and ultimately Salvage Direct was acquired in May 2010 by QCSA Auto Auctions, the nation’s largest independent salvage auction company. The transaction was funded by private equity firm Kinderhook Industries and debt provider Amalgamated Capital. The combination of Salvage Direct and QCSA creates the third largest company in the salvage vehicle auction industry behind public companies Copart and KAR Auction Services. SJF Ventures received a strong return on its investment from the sale. Besides providing premium returns for its investors, the Company’s sale resulted in meaningful cash distributions to many Salvage Direct employees through the Company’s broad-based stock option plan. These proceeds were highly impactful relative to the average annual salary for these employees. QCSA currently plans to retain all Salvage Direct employees and maintain the jobs in Titusville.